Ranking among the most elite fighting forces in the world, United States Navy SEALs (Sea, Air, Land) operate in teams designed to wage unconventional warfare, particularly in a water environment. The SEAL team concept has its roots in World War II, though actual SEAL teams were not commissioned until 1962. SEAL training, conducted at the Naval Special Warfare Center in Coronado, California, is among the most rigorous programs of military education in the U.S. armed forces. SEAL team operations are noted for their mobility, swiftness, and precision. U.S. Navy SEALs join their Filipino counterparts during a 2000 joint counter-terrorism exercise in a remote Philippine village, aimed at helping Philippine forces to destroy the Islamist extremist terror group Abu Sayyaf. special naval combat demolition units whose mission was to reconnoiter and clear beach obstacles for troops making amphibious landings. These teams, which served with distinction in both the Atlantic and Pacific theatres of war, became known as underwater demolition teams (UDTs) in Korea. There they took part in the landing at Inchon and engaged in a number of missions involving demolition of bridges and tunnels accessible from the water. 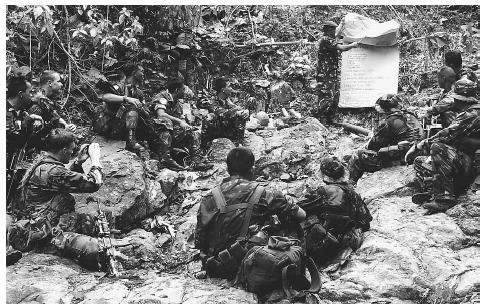 In the early 1960s, as the United States increased its involvement in Vietnam, each military service formed a special warfare unit. In 1962 the Navy SEALs gained formal existence with the commissioning of two SEAL teams, One and Two, which served in the Pacific and Atlantic respectively. In 1983 all UDTs and other naval special-warfare teams were redesignated either as SEAL teams or SEAL delivery vehicle teams. On April 16, 1987, the Naval Special Warfare Command at the Naval Amphibious Base was commissioned to prepare naval special warfare forces through training, doctrine, tactics, and the development of special operations strategy. Among the most significant activities at Coronado is Basic Underwater Demolition/SEAL (BUD/S) training, a rigorous program that culminates in the notorious "hell week." During the latter, prospective SEALs are only allowed about four hours' sleep and must undergo numerous drills that require, among other challenges, heavy lifting, crawling in wet sand with live ammunition fire overhead, and immersion in ice-cold water. Boehm, Roy, and Charles W. Sasser. First SEAL. New York: Pocket Books, 1997. Bosiljevac, T. J. SEALs: UDT/SEAL Operations in Vietnam. New York: Ivy Books, 1991. Chalker, Dennis C., and Kevin Dockery. One Perfect Op: An Insider's Account of the Navy SEAL Special Warfare Teams. New York: Morrow, 2002. Naval Special Warfare. < http://www.sealchallenge.navy.mil > (April 1, 2003). Navy SEALs.com. < http://www.navyseals.com > (April 1, 2003). 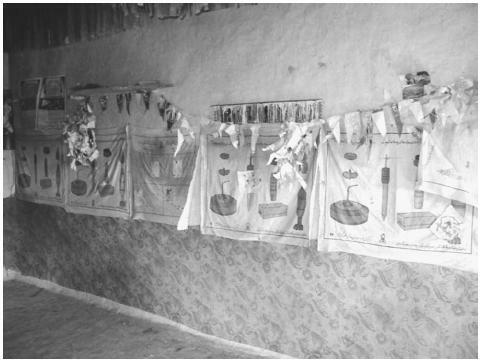 U.S. Navy SEALs found intelligence information, including mine recognition posters, located in an al-Qaeda classroom during a Sensitive Site Exploitation mission in the Zhawar Kili area in eastern Afghanistan in January 2000.